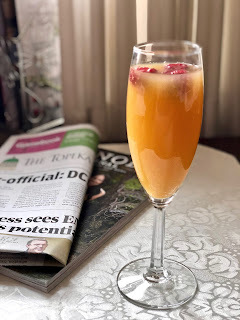 I was thrilled with this week’s selection from the GourmetLive 50 Women Game-Changers that I and a group of my fellow food bloggers post about each Friday. 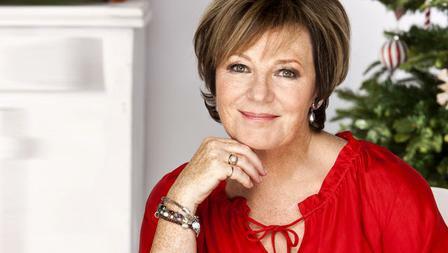 Delia Smith is someone I’ve always heard of and wanted to know more about, especially since I love all things British! She is that country’s best selling cookbook author, with more than 21 million copies sold (according to Amazon.com.) Everything I’ve read describes her way of cookery teaching, both in her books and on television, as no-nonsense. And that was just what I experienced as I read some of her recipes. Instead of the Brazil nuts and hazelnuts the recipe called for, I used almonds and walnuts along with the pecans and macadamia nuts listed in the ingredients. I also used bittersweet chocolate (60-percent cocoa solids) instead of the recipe’s dark chocolate (75-percent cocoa solids) since the darker variety wasn’t on my grocery store’s bakery aisle shelf and I didn’t want to go hunting around the store for it. This recipe turned out wonderful. So good, in fact, that I couldn’t resist licking the batter from the spoon and bowl. (Confess, you still do that too, don’t you?) Even with the bittersweet chocolate, the brownies had a wonderfully rich chocolate flavor. Each bite was dense and chewy—almost like candy! And the mixture of nuts added a flavorful touch just a step above traditional brownies with only a single type of nut mixed in. Preheat the oven to 350 degrees. You will also need a well-greased oblong baking tin measuring 7 x 11 inches, lined with silicone paper (baking parchment0, allowing the paper to come 1 inch above the tin. Begin by chopping the nuts roughly, not too small, then place them on a baking sheet and toast them in a preheated oven for 8 minutes exactly. [I only did them for 5 minutes.] Please use a timer here otherwise you’ll be throwing burned nuts away all day! While the nuts are cooking, put the chocolate and butter together in a large mixing bowl fitted over a saucepan to barely simmering water, making sure the bowl doesn’t touch the water. Allow the chocolate to melt, then beat it until smooth, remove it from the heat and simply stir in all the other ingredients until thoroughly blended. Now spread the mixture evenly into the prepared tin and bake on the centre shelf of the oven for 30 minutes or until it’s slightly springy in the centre. Remove the tin from the oven and leave it to cool for 10 minutes before cutting into roughly 15 squares. Then, using a palette knife, transfer the squares onto a wire rack to finish cooling. This is the time of year for thinking chocolate between Valentines Day and Easter. These brownies look decadent. Lol, I like brazil nuts...and macadamia nuts, pine nuts, cashews, almonds, hazelnut, pecans—you name it. How could these be anything but delicious? The last comment was mine. See, all those nuts have made me nutty. I left a comment but it was deleted because I forgot my name. I was saying that these brownies cna be nothing other than delicious with all those nuts. I love any kind of nut...even Brazil nuts. Nice post! Your brownies look great! Always love a good brownie - thanks for highlighting this.